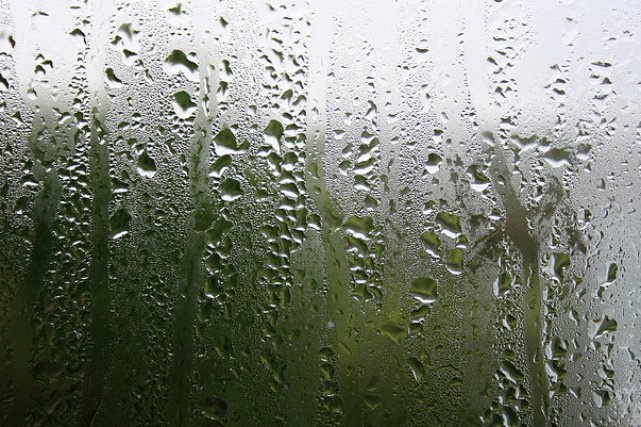 It does happen, when a garage is very humid and in cold weather, that condensation can form on the windows. Garaga garage doors are very well insulated and, even more importantly, weathertight due to their effective weatherstripping at the bottom, between sections, and around the perimeter of the door. If there is condensation on the windows and at the intersection of the sections, it’s a sign that the level of humidity is very high in your garage. To see for yourself, place a hygrometer (an instrument for measuring humidity in the air) in the garage for 24 hours and you will see that the humidity is at least 50%, maybe more. It is also clear that in winter, when you park your car in the garage, any snow that has accumulated in and around the fenders will raise the humidity in your garage. How can I lower the humidity? If you have a heating system in operation, stop it. Open your garage door about 2 inches (60 cm) or more, depending on the weather. The lower the outside humidity, the faster the interior humidity will be drawn out. Ideally, based on the exterior temperature, leave the door open about an hour. Examine other sources that could be causing humidity (ex. : heating wood, washing machine). For more information, take a few minutes to read our other article on the subject.